Not many things can make an event more memorable (and delicious) than a good old-fashioned hog roast. 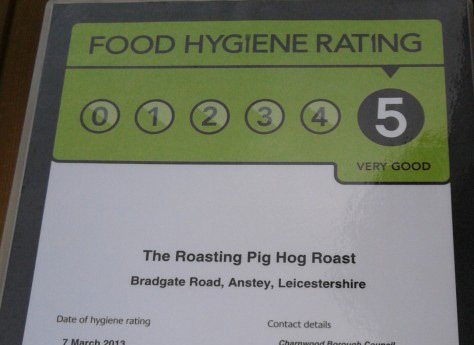 If you’re keen to find hog roast catering in Melton Mowbray and the surrounding areas of Melton, The Roasting Pig should be your one-stop destination. Our company specialises in exciting catering packages that are suitable for events of all varieties. If you need a hog roast for a friend’s birthday festivities, we can help you. If you need food for an upcoming work gathering, we can help you, too. Our comprehensive catering services are great for weddings, anniversary celebrations, holiday parties and much more. 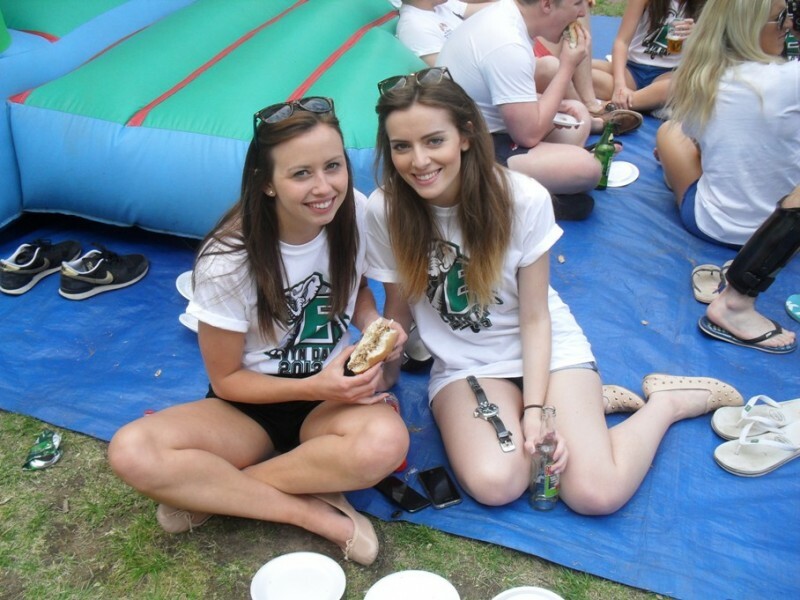 Hog roast catering doesn’t have to be something that costs a lot. If you want excellent meat that’s locally sourced, you don’t have to prepare your bank account for a disaster. 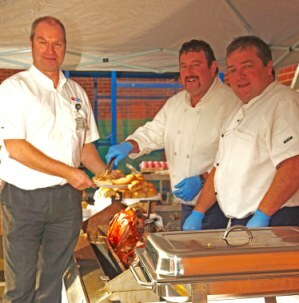 Our hog roast catering services in Melton Mowbray are economical and reasonably priced. If you want to order a whole hog that will fill all of your events’ guests up perfectly, our company can dazzle you with our incredible meat flavours. We’re impressive for more than just the standards of our meats as well. We’re also a full-service catering business that’s known for wonderful side dishes. Examples of the many thrilling side dishes we serve are seasonal veggies, bread rolls, apple sauce and stuffing (made of both sage and onions). We make a great Leicestershire catering business for people who appreciate the ease of buffet meals. Our meat tastes fantastic, but that’s not where the advantages of depending on our company stop. We also regularly assist our customers by providing them with the best and most efficient food preparation and serving assistance around. If you need carving assistance, we can accommodate you. If you need to hire a seasoned and capable waitstaff, we can accommodate you as well. We can even provide you with serviettes and plates alike. Our hog roast packages for Melton are genuinely exhaustive and comprehensive. If you choose to work with our catering business, we’ll take care of any and all of your wants and needs. We’re some of the most hard-working catering pros in the region. 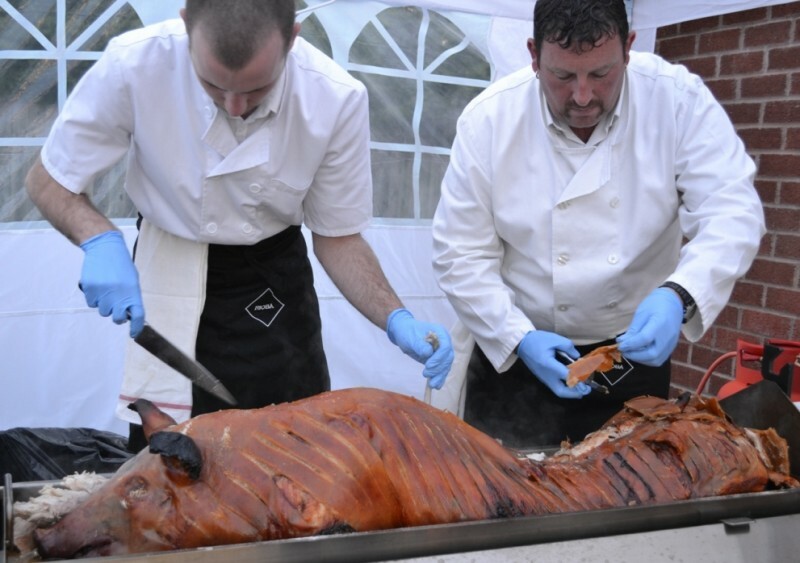 If you want the delicious hog roast of a lifetime, call us at The Roasting Pig as soon as possible to learn more about our respected catering services. We have a number of extensive packages that may be ideal for your event.